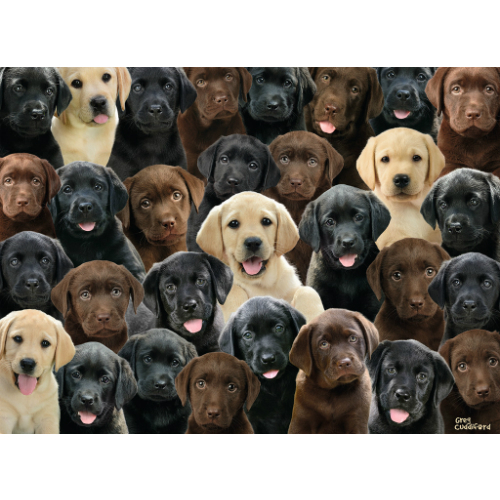 Who can resist the faces of these adorable Labrador pups? 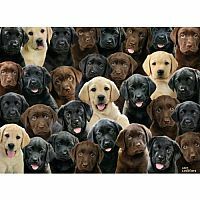 The Ravensburger Labradors 100 Piece Jigsaw Puzzle will have your heart melt every time you complete another cute puppy face. 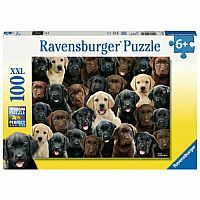 This jigsaw puzzle has a slightly larger piece size and is appropriate for ages 6 years and up and also for adults who need a larger sized piece. Completed puzzle size is approx. 19" x 14".